Hi everyone, so I’m sort of at the tail end of my first day back from Florida. I took off on Thursday. I went to Florida to do some brother-sister bonding with my sister that lives out in Boca Raton. We had a really good time. I got to see Florida, you guys who live out there, boy you have a great state. It’s just really nice. It was green. It was raining. It was really just very nice to visit beautiful Intercoastal waterways, this stuff I’ve never seen before. I came back yesterday and got going here again today. And I just want to share with you my excitement for all those people who are graduating dental school and all those people who are going to be starting their careers. I actually have one of my dental assistants who just got accepted to UCLA dental school, I think he’s going to go to UCSF and he’s real excited. And that sort of fervor or that wonder is what brought me a lot to producing my program Success In Endodontics. So for any of you who are out there who are in finishing up a GPR or you’re in a general practice residency or for that matter any of you who are out there and just really doing endodontics, it’s a fantastic opportunity for you to learn some more about how I do endodontics. There are so many different ways to do things in this particular field of study, but I’ve crafted together my 34, 35, 36 years of experience now into a manual and into an online video program that interdigitate with each other. And they are extremely informative in helping you get by and through the problems that you’re having. You’re going to have problems. You’re going to come out of your programs. You’re going to come out of dental school and you’re going to do some beautiful work. And you’re gonna say, oh wow this is the best thing ever. And then you’re gonna have a run of time where you’re gonna have teeth that are just simply going to fight back and they’re going to give you trouble. And so that’s why I produced Success In Endodontics. I put it at a very reasonable price point. It’s certified by the ADA. The continuing education units are issued by the AGD. What I advise though, is that what once you’ve had a chance to go through the program and study the manual, you go back and you do your root canals. But what I’ve heard people say and what I strongly advise is you go back and you review the program again. Look at the manual, review the videos, and go back to your practices and do some more endodontics. And then quite frankly, what I would say is then go back and review the program again because the more root canals you do, the more you engage the information, and the better off your foundation will be to avoid any problems that are going to come up. This will be a tremendous asset to you. I put my heart and soul into producing it seven years of production like a crazy guy. Who does this for seven years of weekends working and writing and editing and video editing? All the videos are filmed through my microscope. I really hope you have a chance to view the program. Also, I have a couple of nice cases now that I put up in last month or so on my Facebook page and I certainly would welcome any comments. And I respond to everything myself. And if you want to get a hold of me after you’ve taken the program and you have any questions or concerns, just go ahead and contact me. I love talking to my students. So thank you so very much and I hope you have a chance to enjoy Success In Endodontics. 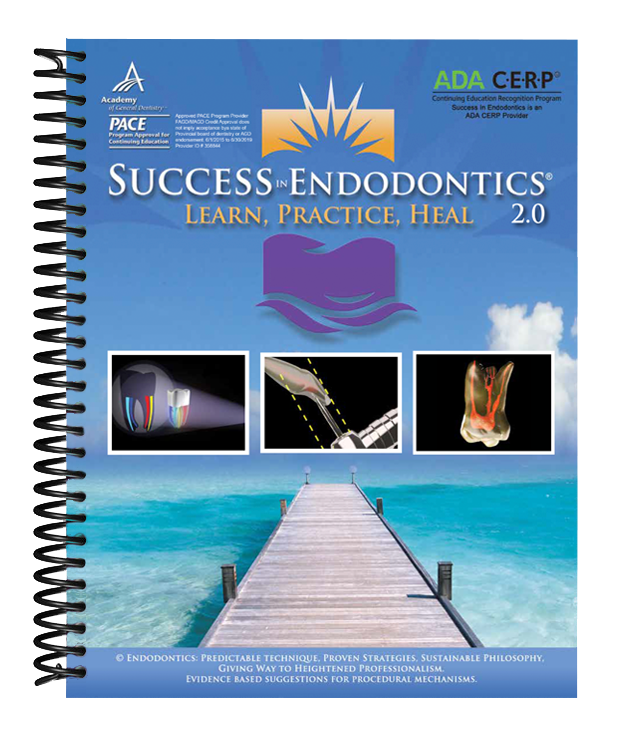 I would like to offer all new graduates $20 off Success in Endodontics 2.0. Use Discount code: SPRING20 at checkout.